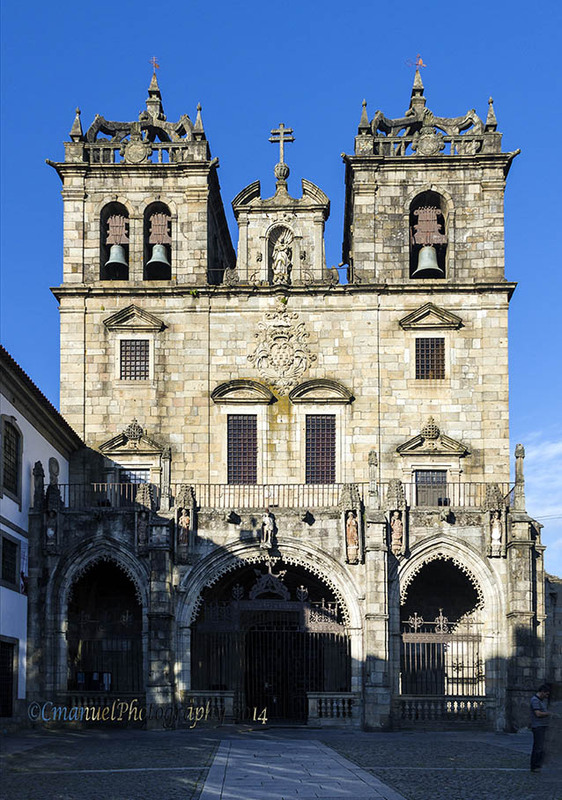 The Sé or Cathedral of Braga is the oldest religious temple of Portugal. It’s building began during the year 1070, and its construction took a century. The Romanesque is the most interesting, and you can appreciate it in the format of the cathedral, as well as in the southern entrance and in the west door where there is a carving with depictions of a medieval legend known as Zorro Renart. From the outside, the highlights are the Manueline towers and roof carried out by João Castilho, the same person who built the Jeronimos Monastery in Lisbon. In the inside, near the church, is the treasure-museum, a fantastic collection of ecclesiastical pieces, among which include the work of Our Lady of the Milk, with the virgin breastfeeding Jesus, this piece of art it’s from the sixteenth century and was made by the sculptor Nicolas Chanterene, and an iron cross that was used in 1500 to celebrate the first Mass in Brazil. You can visit the chorus through a guided tour, having to pay the entrance charge (2€ for adults and 1€ for children). By that, you can see the incredible organs and the golden stonework. 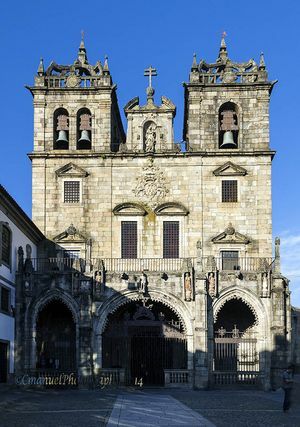 In the course of this visit, you can also visit the bottom floor, where you can appreciate the chapels of the Kings, considered the "jewel" of the Cathedral, with the tombs of the parents of the first king of Portugal; the chapel of St. Gerard, dating to the twelfth century and covered in tiles, and the Chapel of Glory, which dates to the fourteenth century, whose inside is painted with geometric motifs Arab from the sixteenth century. Rua Dom Paio Mendes, Braga. The Cathedral is open from 8:30 until 18:30. The Treasury-Museum is open from 9:00 to 12:30 and 14:00 to 18:30.